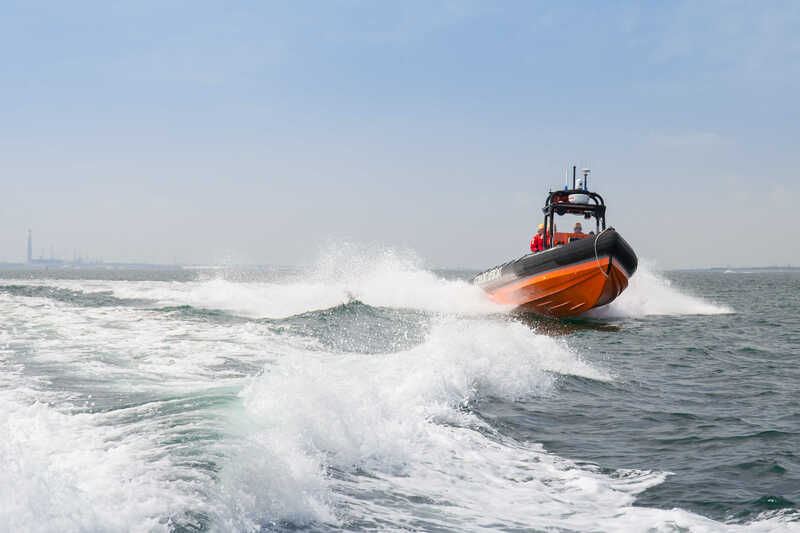 Emergency services were called into action on Sunday, February 7, to reports of a missing child in the water in Gosport. Gosport & Fareham Inshore Rescue Service (GAFIRS) was launched into force eight seas by UK Coastguard at around 10.40am and joined the search in Workshouse Lake, behind Gosport Rugby Club. Also searching for the child were the UK Coastguard’s rescue helicopter and Hill Head mobile units, the police RIB, while ambulance and Police units worked together to search the shore line. However, after an extensive search of the Haslar creek area by the emergency services, it transpired the call out was a hoax with malicious intent. GAFIRS senior coxswain Chris Rudd said: ‘We launched into rough seas and were on scene quickly – and with the high tide we even had to lower our A-frame, which mounts our aerials, so we could squeeze under Haslar Bridge. GAFIRS returned to its station at Stokes Bay, Gosport, at 1125. Two youths are assisting police with their inquiries following the malicious call.